Constitution Capital Partners, based in Boston, MA, is a private equity firm that focuses on North American small to mid-cap buyouts. CCP is a disciplined, value-oriented investor with a demonstrated track record of consistently generating top quartile returns. The firm is led by an experienced, cohesive team of investment professionals with significant experience investing in both partnerships and direct investments. 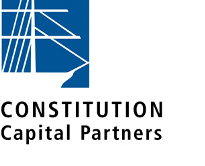 For more information about Constitution Capital Partners, please see: www.concp.com.